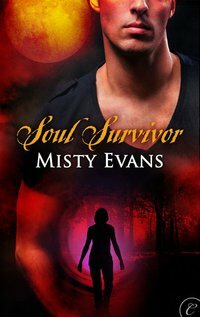 Our latest REVOLVING BOOK is by MISTY EVANS! Misty Evans writes the award-winning Super Agent Series, Witches Anonymous series, and now her new Lost Worlds series with Carina Press. Her debut novel, Operation Sheba, Super Agent Series Book 1, won the CataNetwork Reviewers’ Choice Award in 2008, a CAPA nomination in 2009, and the New England Reader’s Choice Bean Pot Award for Best Romantic Suspense in 2010. Operation Sheba was the number one Kindle Romantic Suspense book and a Top 10 Kindle bestseller for over a month in 2010. I’d Rather Be In Paris, the second book in her Super Agent Series, was nominated for a 2009 CAPA for Best Romantic Suspense, and along with the third book in the series, Proof of Life, was a Top 100 Kindle Bestseller in 2010. Misty is currently at work on the next books in all her series. She likes her coffee black, her conspiracy stories juicy, and her wicked characters dressed in couture.